Enjoy this special Soul Traveller Radio exclusive. 3 tracks from Edo & Jo's first album Kirtan Alive and 2 special tracks from their new album Bliss. Two years in the making, ‘Bliss’ runs deep. Oozing with devotion, Edo and Jo have transcended to new depths. Merging the ancient mantras with a vibrantly contemporary and sweetly unique sound of Edo & Jo. This music goes straight to the heart, soothing, uplifting, mesmerising and electric! Recording in contrasting locations from the famous Indian composer A.R Rahman's studio (Slumdog Millionaire) in Chennai, to Australia's Alberts studios home to Australian icons Easybeats and AC/DC, they deliver a sonic palette of classical Indian instrumentation, vintage keyboards/organs, electric guitars and eclectic beats, taking this genre somewhere new. 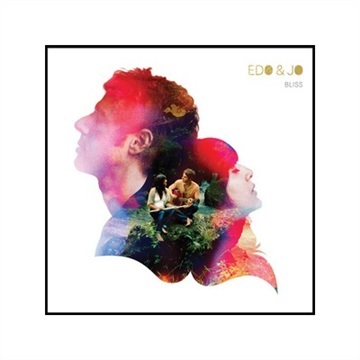 So authentically expressive of Edo and Jo’s devotion, listening to this album melts your heart and awakens bliss within.